Each year we read Sunflower House by Eve Bunting as part of our reading curriculum. 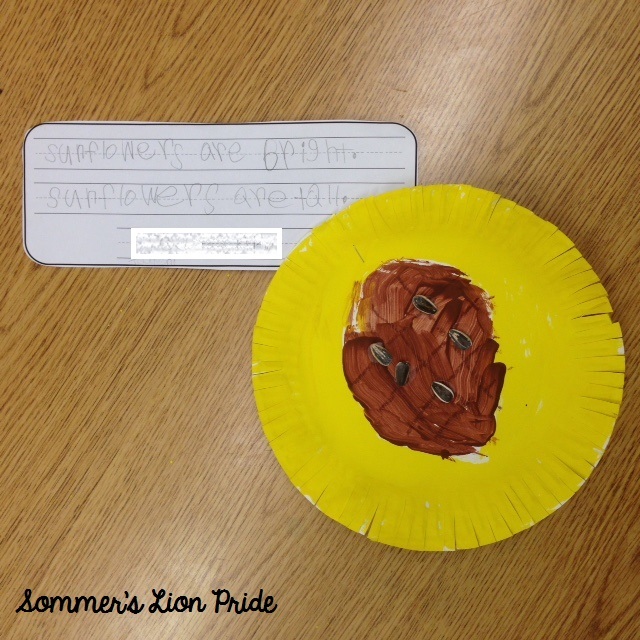 This year I supplemented the reading with a fun sunflower craft and writing. 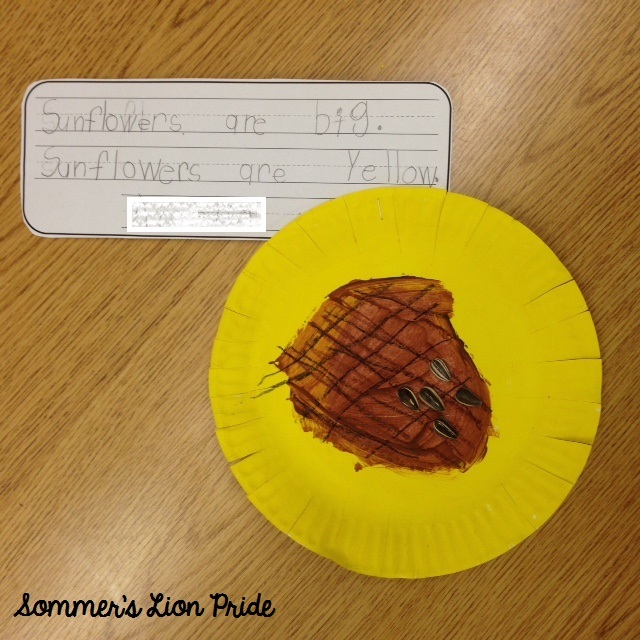 We started the sunflowers by painting the outside portion of a paper plate yellow. Then the inside area was painted brown. After the paint dried (the next day) we cut straight lines into the yellow portion of the plate. 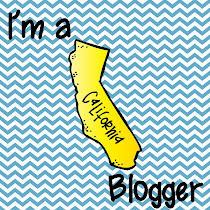 With a brown or black crayon we drew a hashtag pattern in the middle of the sunflower. 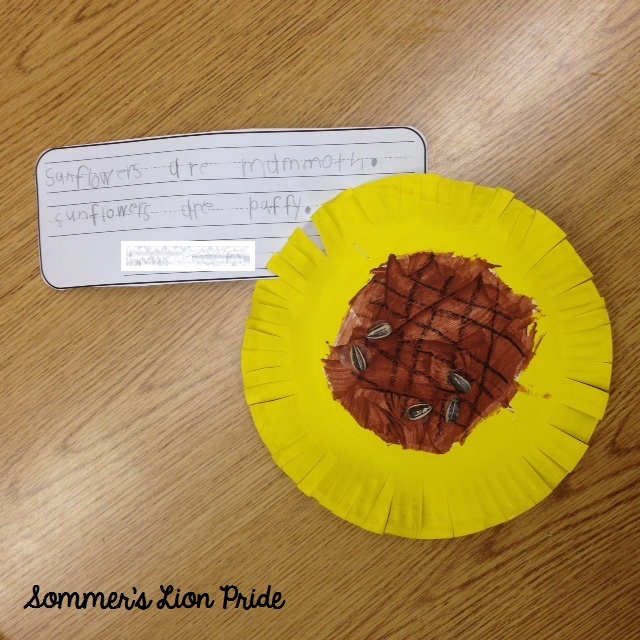 And then glued on a few real sunflower seeds. Every year we create a bubble map to describe a sunflower - using the vocabulary from the book. Here is an example from last year. 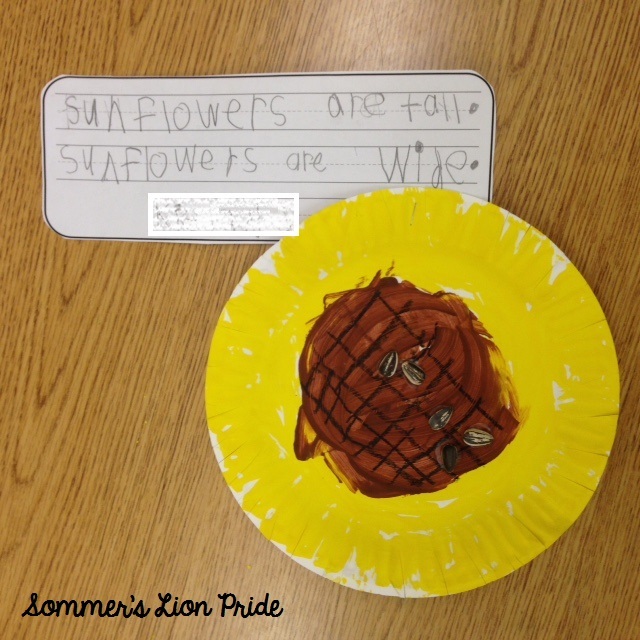 Then we created sentences descibing the sunflowers using the sentence frame "Sunflowers are..."